I didn’t expect to be so taken by Larry Smarr’s 10 years worth of clinical data he’s collected on himself — perhaps more than anyone before him — even though I knew it led to an important diagnosis and provides a view of the future patient. 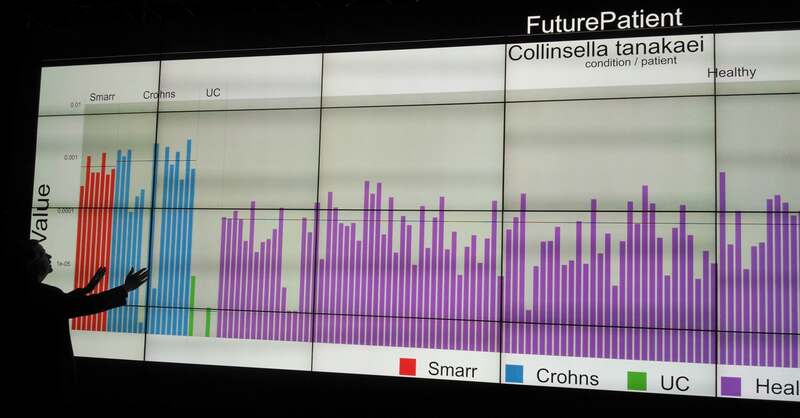 During the above demo at yesterday’s Quantified Self Public Health Symposium, he tells the story of how he has determined the relative amounts of various bacteria that live in the colons of healthy people, versus those with ulcerative colitis or Crohn’s disease. His own “micriobiome” is on the left in red, and matches the blue pattern of Crohn’s disease, and not the green of ulcerative colitis or purple of normals. He, not his initial doctors, figured this out. 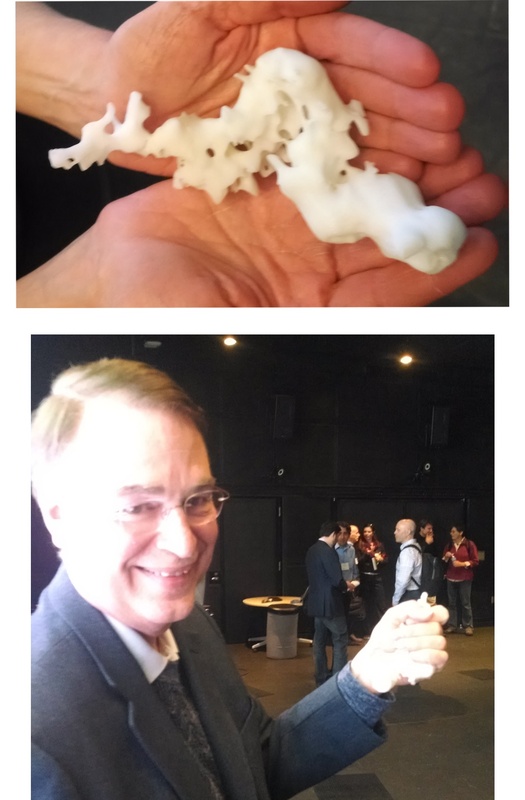 The picture directly above shows him holding the replica of his disease. “I have the problem in my grasp,” he says. This reminds me of the unstoppable passion we often see in parents of children with rare or undiagnosed diseases, and that one shouldn’t get between a mama bear and her cub. We have a tremendous opportunity in health care to tap into the motivation and innovation of patients and caregivers everywhere. Thank you, Larry, for the inspiration.